Formally named mountain blend coffee ‘Women farmers grew this coffee’ is a delicious modern blend from high mountain coffees from Colombia Peru and Uganda. A great morning coffee for a refreshing start to the day. 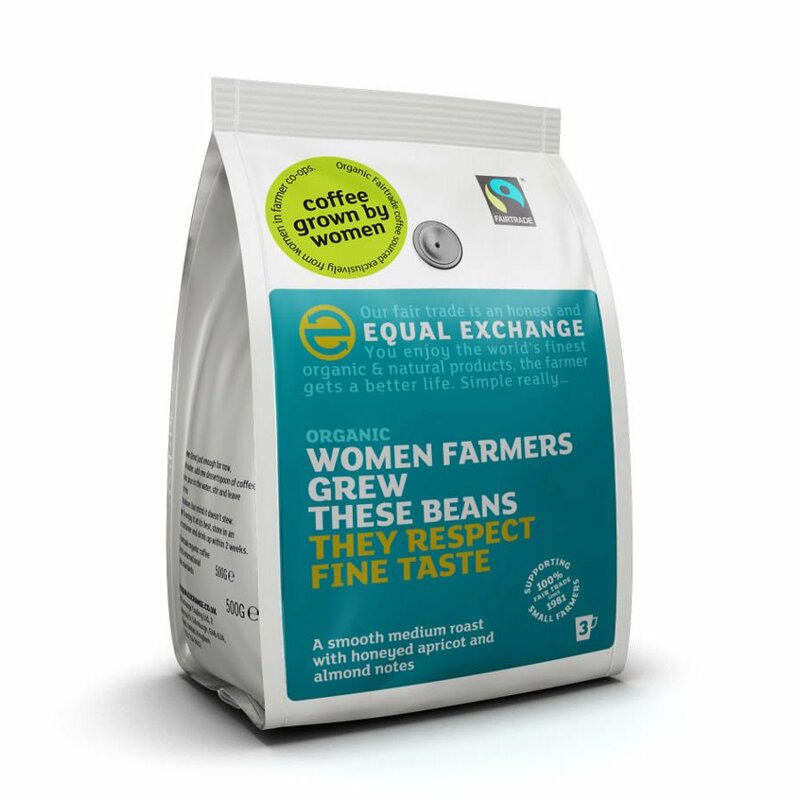 This coffee is now part of the ‘Grown by Women’ range from Equal Exchange and is sourced exclusively from women cooperatives. 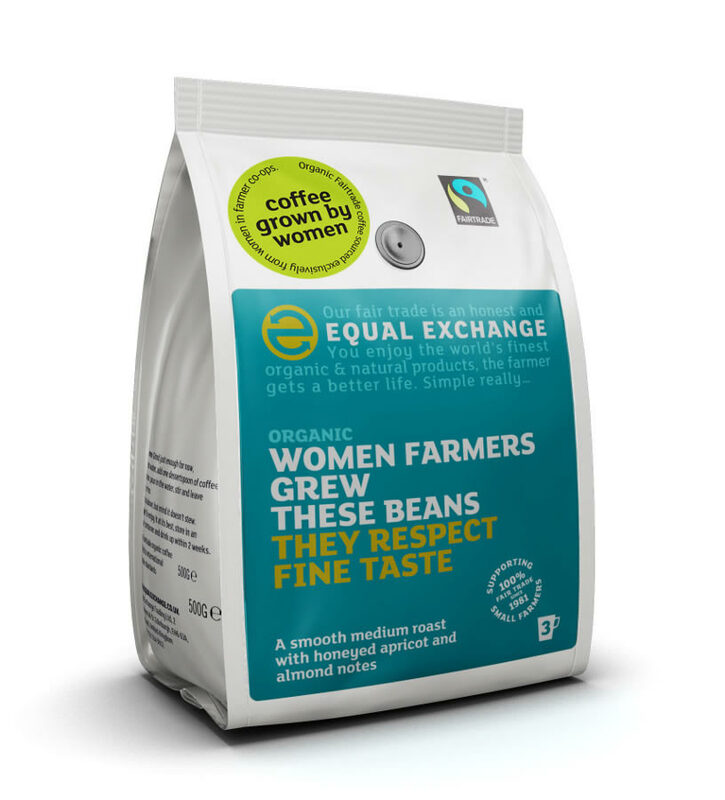 The Equal Exchange Farmer's Blend Whole Beans Coffee - 227g product ethics are indicated below. To learn more about these product ethics and to see related products, follow the links below. very pleasant tasting coffee, fair trade and made by women! There are currently no questions to display about Equal Exchange Farmer's Blend Whole Beans Coffee - 227g. Choose Equal Exchange and you'll be making a big difference to the lives of small farmers and producers in the developing world. Why? Because they’re often victims of unjust economics. Working with them is the whole reason Equal Exchange went into business: enabling them to achieve a more sustainable way of life. For example, all Equal Exchange teas are packed at source, which means that even more money gets invested into local communities. Most products in the Equal Exchange range are also organic and the company has pioneered many major Fairtrade and organic world-firsts. Ethical Superstore stock over 40 Fairtrade and organic certified Equal Exchange products.